Welcome & Thank you for visiting our vintageludwigdrums.com site. This site serves to preserve and document drums produced by the Ludwig Drum Company during its Golden Era of the 1960's and 1970's. It's a free reference for drummers and collectors alike. You can find the varying catalog outfits offered by Ludwig during its proper era, as well as some background information to their designs and history. We have not covered all models such as Clubdate or Standard series, but we will be adding more info in 2018. 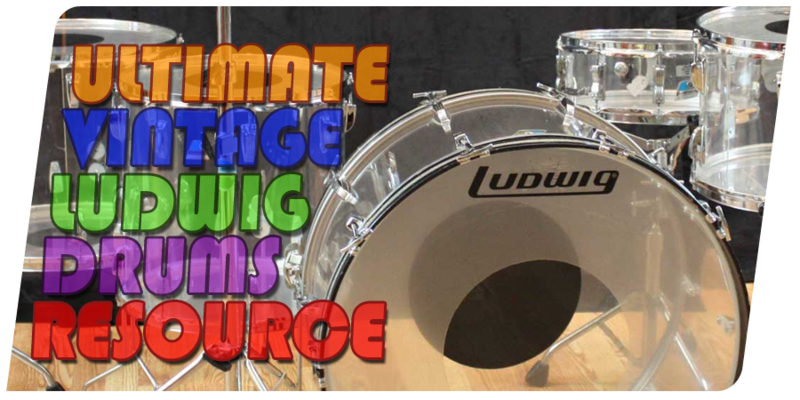 Vintage Ludwig drums have evolved as a highly coveted commodity. It's the tone, concept and design that took the world of drums to another level.